2019 is a major year for Jio and also the broadband. Do you know why? This year is going to see the launch of Jio GigaFiber which is home broadband service. This is likely to be step into the market, thus bringing a huge disruption in the broadband market in the country. With the Jio GigaFiber, the company is eyeing on introducing very high speed internet at very affordable rates when set against the other broadband services existing in the country. In addition, Jio is also planning to introduce its DTH services that is presumably of HD quality at very affordable rates. In a few Indian cities, the Jio GigaFiber is already available as trial service. The service is being in use in Delhi, Mumbai and other cities since past 6-7 months. The commercial launch of GigaFiber is however yet to commence which is likely in March 2019. However, considering the speed at which the necessary works are taking place, it is likely that the launch may take some more time to happen to be a reality. 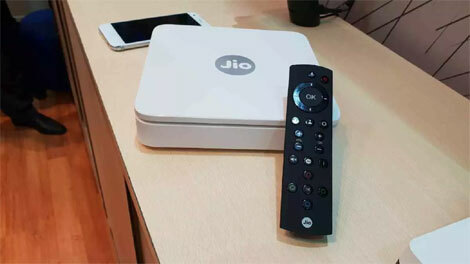 Jio is at present involved in area Ready for Sale for its Jio GigaFiber service which means officials Jio are reaching out to targeted areas and management authorities in societies, and house owners to educate them about Jio GigaFiber and request for permission to set up the services. Once they give their nod, Jio would execute the Jio GigaFibeer service to the respective area residents. To start with, Jio is aiming at Multiple Dwelling Units such as high-rising societies following which the Single Dwelling Units will be targeted where individual private homes will be given the service. Similar to Jio telecom services, there is free Jio GigaFiber service being offered at select localities. With the Jio GigaFiber preview plan, users get 1100GB of internet for 1 month at a speed of 100 Mbps with validity of 3 months. For this, the users need not pay literally anything at all. Jio officials would come for installing the necessary service. However, the customer will have to pay out a sum of Rs 4500 towards security deposit which will be refunded when the customer disconnects or requests for deactivating the service.